The first leader in the church is the pastor. He has a number of responsibilities in the local church. First, we need to explain that there is no distinction between elders, bishops, or pastors. We will look at their qualifications and responsibilities as well in the church. Ephesus and later on in v. 28 calls them both bishops (overseers) and shepherds. These three individuals are all the same. Some churches argue that there are two groups of elders in the church. They will say there are both teaching and ruling elders. The verse they turn to is 1 Timothy 5:17. In some translations it seems that Paul makes a distinction between those who rule well and those whose job it is to preach and teach, there should be both ruling and teaching elders. This is a poor translation. The NASB translates it correctly as, “The elders who rule well are to be considered worthy of double honor, especially those who work hard at preaching and teaching.” Paul’s focus is that pastors who are doing a good job at ruling their church, and especially if they are working hard at preaching and teaching are worthy of double honour. Paul is not advocating some kind of second type of pastor who does not teach. The idea in the New Testament of a pastor always combines the idea of teacher. Now, two passages explain the qualifications of a pastor. 1 Timothy 3:1–7 and Titus 1:5–7. Essentially, the requirements are that he be above reproach, husband of one wife, a godly leader in his home, and able to learn the Word and teach and preach it. One is called as pastor by a congregational vote and is ordained by the church to perform the functions of a pastor and to carry out the gospel ministry. Pastors are to be only men. There are two major reasons for this. Whenever Paul is talking about an elder, he says they are men. For instance, he says they are to be “husband of one wife.” It does not say and “wife of one husband.” Clearly Paul felt the pastoral ministry was for men. Second, there is clear teaching in 1 Timothy 2:11–15. Paul is referring to the public worship service when he says that women are to learn in silence and not to teach or have authority over a man. This is not cultural because he roots it in the very order of creation itself. Therefore, pastors are men. The responsibilities of the pastor are that he be a shepherd of the flock. He is to be the ever ready, sympathizing and helpful friend to all. He is to guide the flock into godliness and service to Christ. He is to be the preacher and teacher of God’s word. For though a pastor, he must still be a preacher, a Gospel herald to his flock. The minister is, perhaps first of all, a teacher. We generally accept that the Scriptures teach a plurality of elders, or that churches can have more than one elder or pastor. Depending on the size of a church, multiple pastors may be required. We are opposed to the idea that there is a full equality amongst the pastors. Instead of all elders being equal, we look at Acts 15 and the issue of the Jerusalem council as a paradigm. There were a number of elders in the Jerusalem church but James shows he is an authority over them by reaching the decision about what to do regarding the question of Gentiles and the church. Deacons are the second group of officers in the church. They originally were raised up to free the apostles and pastors of the churches for the ministry of prayer and study and preaching and teaching the Word. Acts 6 explains the original formation of the group known as deacons and 1 Timothy 3:8–13 explains their qualifications. Acts 6 teaches that the apostles were getting bogged down in daily temporary affairs of the church and were neglecting the ministry that God specifically had called them to, and this was to pray and study the Word so that they could effectively preach and teach the Word to the flock. 7 men were chosen from amongst the congregation then to serve as servants of the church. They met the temporal needs of the church so that the apostles and pastors would not be taken away from their first duty. By free vote of the church then, these men were chosen to have charge of the sick and needy members and whatever temporal affairs may require attention. They are also to act as counselors and assistants to the pastor in advancing the general interests of the body, both temporal and spiritual. There is no set amount of deacons in a church. It should be dependent on how small or large a church is to determine how many men are needed to serve it. 1 Timothy 3:8–13 teaches the qualifications of the deacon. They are very similar to that of the elder. They are not to be divorced (husband of one wife) and manage their homes well and lead godly lives and that they should be immersed in the Word. Essentially then, these are men who serve as the custodians of the daily temporal affairs of the church. They relieve the burden of the pastor regarding these affairs. What about women deacons? Many good men and many Baptists have argued that women can be deacons (or at least there should be a second class of deaconesses). There are a number of reasons to see deacons as only being men. He uses the language of servant as an office. Then when he mentions the women/wives, he does not use that term again, nor a feminized form of the term deacon either (to mean deaconesses). Some would argue though that Phoebe was called a deacon in Romans 16:1. Most though accept the quite proper translation of “servant” and not that the office of “deacon” was in view. The major problem with seeing this refer to women deacons or a separate group of deaconesses is that it is an abrupt change to all of a sudden start discussing another office. So why did Paul mention deacon’s wives? This seems to be an ad hoc list of qualities both of overseers and deacons, and Paul simply felt the need to bring up some qualities of deacon’s wives. Why does he not mention overseers wives? The duties as deacons make it all the more important for them to have godly wives to help them in their servant ministries. Since, an overseer’s duties cannot truly be partnered with their wives (teaching, preaching, authority), Paul did not need to mention them. Therefore, deacons are men. 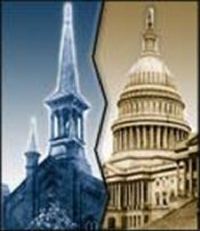 Matthew 22:15–22 is the key passage setting forth the basic text on separation of church and state. In this passage the Pharisees and Herodians faced Jesus with a loaded question (15–17). Involved was their messianic concept which forbade payment of taxes to a pagan power. To answer categorically either way would have involved Jesus in trouble with the Romans or the Jews. Jesus did neither (18). The coin testified to the Jews’ subservience to and dependence upon the State (19–20). They also recognized their relationship toward God. Jesus pointed out their obligations to both God and the State (21). The principle of the separation of church and state does not mean that the two have no relationship whatever. Jesus recognized the existence, rights, and functions of the State (Matt 22:15–21). The early Christians in missionary work utilized roads and sea lanes provided by the State (cf. Paul’s travels, Acts 13–16; 27). On occasion Paul accepted or called for the protection of the State (Acts 18:12ff; 21:27ff; 22:25ff; 25:10–12). At the same time Christians were exhorted to submit to the authority of the State (Rom 13:1–7; 1 Peter 2:12–17). Even when persecuted by the State they were to endure it willingly as a testimony unto the Lord (1 Peter 3:14–15). In the peaceful existence of an orderly society they were to carry on their spiritual work (1 Tim 2:1ff). Church and state are mutually related in the normal events of life. The state provides a proper atmosphere in which the churches carry on their work (cf. fire and police protection, national security, postal service, and general stability in society). In turn the churches endeavor to produce through the gospel the type of Christian character conducive to a well-ordered society. But church and state are also mutually exclusive. Neither shall endeavor to control the other or to use it in the discharge of its separate responsibility. The church shall not seek to achieve its spiritual goals through political power (cf. Matt 4:8–10; John 6:15). Nor shall the state commandeer the church for political ends (Acts 4:19). No religion shall be favored above another. The state shall not levy taxes upon strictly religious property, nor shall any church receive tax funds to be used in the performance of its spiritual, educational, and healing ministry (cf. 1 Cor 16:1ff). The church shall be free to determine its own form of worship, faith, government, membership, and missionary outreach. But such shall be carried on within the framework of the laws of the state. I just received my acceptance papers in the mail today! I am now a Ph.D. student in Historical Theology at the University of Wales Lampeter. I will be studying under Dr. Frances Knight, Senior Lecturer in Church History at the University of Wales, Dr. Maurice Dowling, Professor of Church History and Theology at Irish Baptist College, and Dr. Michael Haykin, Principal and Professor of Church History and Reformed Spirituality at Toronto Baptist Seminary and Bible College. This is extremely encouraging news! University of Wales Lampeter is the third oldest institution for higher learning in England and Wales (after Oxford and Cambridge). Dr. Knight and Dr. Dowling are accomplished Church Historians with specialties in the history of Christianity in England during the period in which I am writing. Of course, Dr. Haykin is a highly esteemed Church Historian with a particular focus in 18th century Baptist History which is precisely my focus. 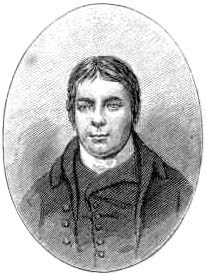 Again, for those who may not have heard before, my focus is on the Christological Apologetics of Andrew Fuller. My dissertation title is “The Scriptural Influence on Andrew Fuller’s (1754–1815) Views of the Person and Nature of Jesus Christ in the Midst of Christological Controversy.” I hope to focus on how Fuller understood and interpreted the Scriptures (what he called “The Oracles of God”) in his defence of the orthodox positions on the person and nature of Jesus Christ in his controversies with the Johnsonians, Paine, Priestly, and finally, Vidler. I am incredibly excited about this new phase of my life. Pray for me that I may devote my studies to this in such a way that it brings Glory to God and benefit to the Church of Jesus Christ. You are currently browsing the Working out Salvation with Fear and Trembling blog archives for March, 2007.